(NaturalNews) Water fluoridation may cause hypothyroidism at levels dramatically lower than the maximum level allowed by the U.S. Environmental Protection Agency (EPA), according to a new study conducted by researchers from the University of Kent and published in the Journal of Epidemiology and Community Health, a British Medical Journal (BMJ) publication. The thyroid gland plays a key role in regulating metabolism and several other bodily systems. Hypothyroidism, or an underactive thyroid gland, can produce serious problems including weight gain and depression. "Underactive thyroid is a particularly nasty thing to have and it can lead to other long term health problems," lead author Stephen Peckham said. "I do think councils need to think again about putting fluoride in the water. There are far safer ways to improve dental health." A number of studies have suggested that fluoride ingestion may lead to hypothyroidism. Among other things, research has shown that fluoride inhibits the body's ability to use iodine, which is needed to produce thyroid hormones. For the new study, the researchers reviewed medical records from the offices of 98 percent of England's general practitioners, which altogether served 95 percent of the country's population between 2012 and 2013. They compared rates of hypothyroidism treated at these practices with data on the fluoride content of water in each of the country's regions. The researchers found that -- after adjusting for other thyroid risk factors -- rates of hypothyroidism were 30 percent higher in medical practices located in areas where the fluoride content of water was between 0.3 parts per million (ppm) and 0.7 ppm, compared with practices in areas with fluoride content below 0.3 ppm. Practices in areas with fluoride content above 0.7 ppm had rates of hypothyroidism 62 percent higher than those from areas with levels below 0.3 ppm. The EPA's threshold for maximum fluoride content of drinking water is 4.0 ppm. The researchers also compared hypothyroidism rates between two large metropolitan areas with similar demographics. One does not have water fluoridation (the greater Manchester area), while one has fluoridation at the standard UK levels of 1.0 ppm (the greater Birmingham area). The analysis showed that rates of hypothyroidism were 94 percent higher in Birmingham area medical practices than in those in the Manchester area. The findings mean that, in England alone, 15,000 people might be suffering from hypothyroidism as a result of water fluoridation, The Telegraph reported. Although it has long been suspected that water fluoridation could cause hypothyroidism, the new study is the first to ever look for such an effect in a large population. Indeed, a recent analysis of the health impacts of fluoridation in England, used as evidence to continue pronouncing the practice safe, failed to look at risks of hypothyroidism even though the data for it were available. 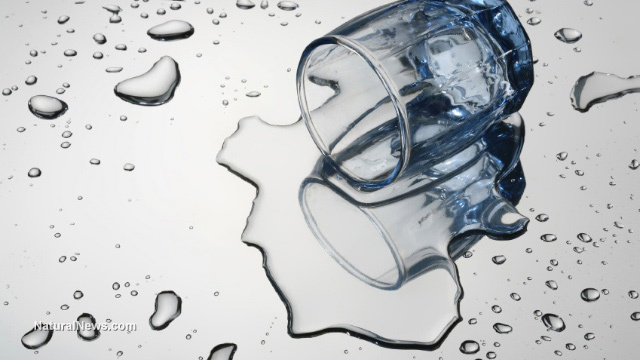 The researchers called for a "rethink of public health policy to fluoridate the water supply." "Consideration needs to be given to reducing fluoride exposure, and public dental health interventions should stop [those] reliant on ingested fluoride and switch to topical fluoride-based and non-fluoride-based interventions," they said. In the same week that the British study was published, a study was also published in the journal Environmental Health on the risks of water fluoridation. This one found that U.S. states with higher rates of water fluoridation in 1992 had significantly higher rates of attention deficit hyperactivity disorder (ADHD) in 2003, 2007 and 2011, after controlling for socioeconomic status. "Parents reported higher rates of medically-diagnosed ADHD in their children in states in which a greater proportion of people receive fluoridated water from public water supplies," the researchers wrote. Every 1 percent increase in the prevalence of fluoridation led to between 67,000 to 131,000 extra cases of ADHD.